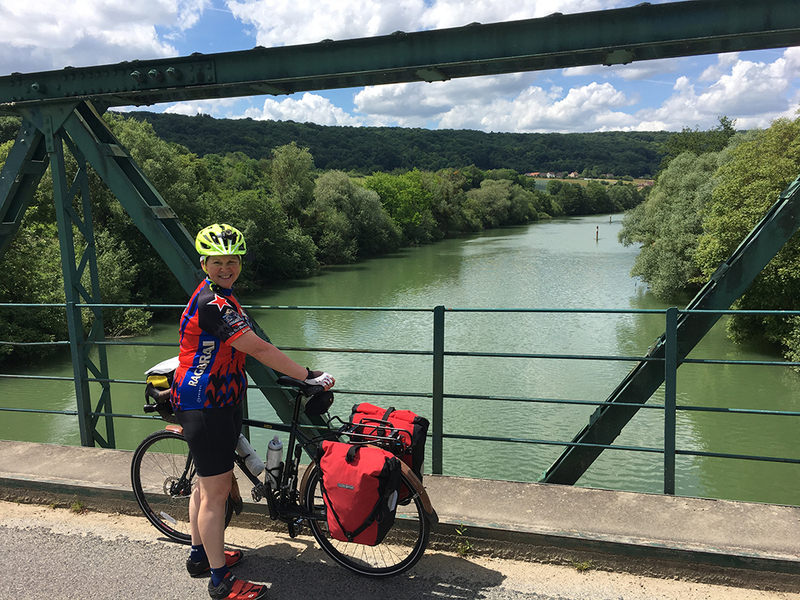 For several years, my husband and I have wanted to make a self-supported bicycle trip with our own bicycles in France. We began planning this trip in December 2016 with the goal of seeking out quiet roads and rural regions. It did not take long to determine that Château-Thierry and Contrexéville would be focal points of our trip. 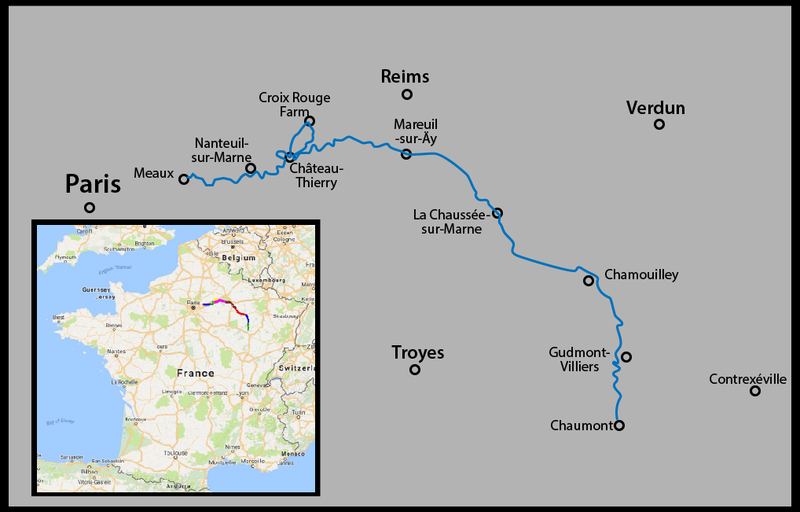 The trip came together when we realized that River Marne was a connecting point for these two destinations. Steve began calling this trip "Molly on the Marne." Thanks to Steve's many hours of research on the route for our ride, we were able to plan a multi-day trip and make lodging reservations by the end of January. Overall, we had a great experience and enjoyed meeting new friends. This website has been created to share our experience with others. Château-Thierry came to mind because of our interest in history and my curiosity about the experience of my cousin, Harry Swift, who was injured in battle near Château-Thierry in 1918. As part of our preparation for this trip, Steve and I began learning about WWI history in general and Harry Swift's regiment (168th Infantry) in particular. With the centenary of events surrounding WWI upon us, we felt it was an ideal time to learn about this subject. Several years ago, Steve and I read the personal letters of my great aunt, Agnes Swift, who was a nurse in WWI and served in the American Expeditionary Forces hospital at Contrexéville. In 2000, we made a visit to the town, but we did not have enough information to really know what to look for. Over the years, as we learned more about how the grand hotels at Contrexéville were converted to hospitals and which hospital/hotel Agnes had worked in, we began to plan a return visit.